Food kiosks offering healthier choices have been mushrooming lately. One brand that has been around since 2013 is YOLO at Icon Village that's not far from Tanjong Pagar MRT station. It's Halal-certified. 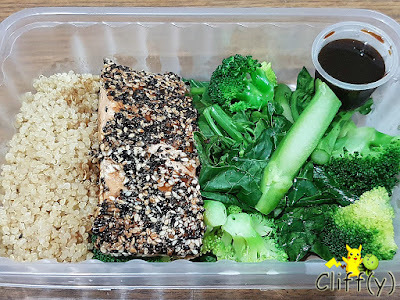 Scoring 590 calories, the salmon encrusted with black and white sesame seeds could be pan-fried in a slightly shorter period of time, but I enjoyed it nevertheless as it was pretty succulent. The quinoa and vegetables were executed well, the latter being juicy and having vibrant colours. 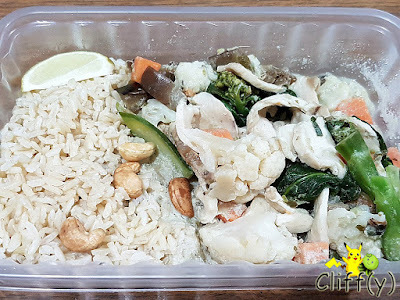 A somewhat small amount of chicken breast slices were cooked with vegetables in light coconut milk and topped with cashew nuts. The meal containing 10 calories less than the salmon main course was light on the palate. The brown rice, having such a light colour, was adequately moist. Often referred to as nature's 'purple gold', acai is a highly nutritious berry species. At YOLO, you get to customise your treat: acai base, two fruits and one topping. 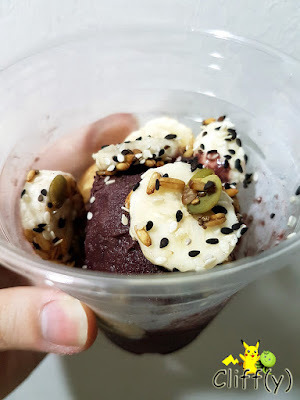 I went for the original acai sorbet with banana and mango slices, as well as super seeds. 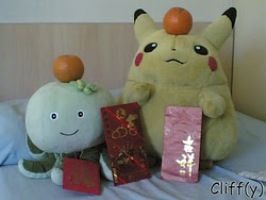 Pika's advice: For an additional S$0.50, you can get either acai, mango and pineapple sorbet or peanut butter acai sorbet. Have you eaten according to your goals today? *Prices quoted are subject to delivery charge.